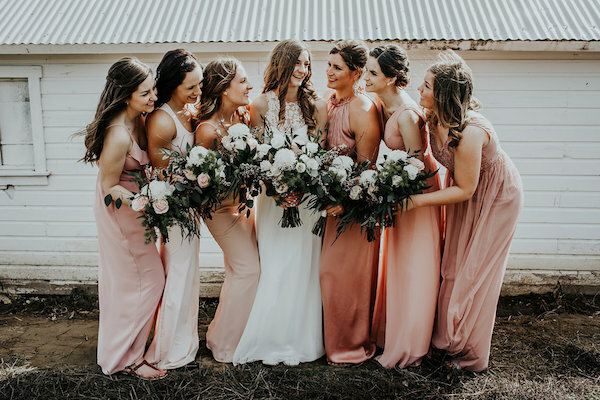 It's no secret that blush (or "millennial pink" as it's been called) is having a moment, and we are HERE for it. 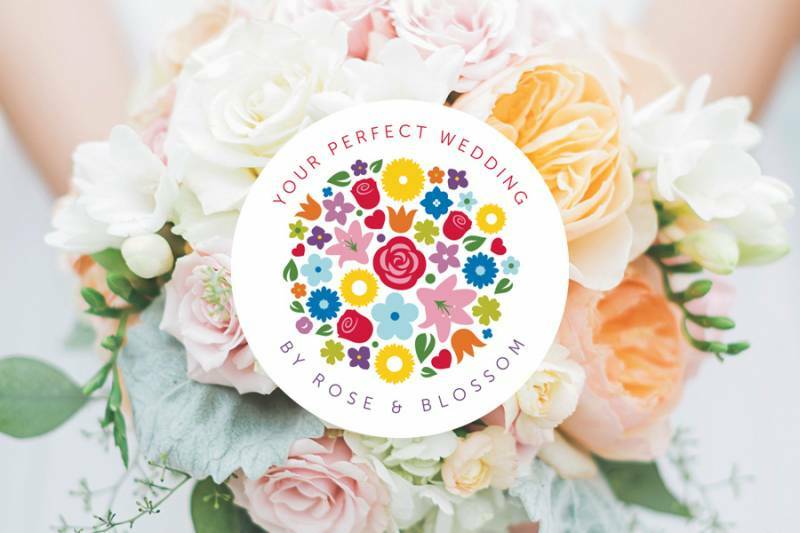 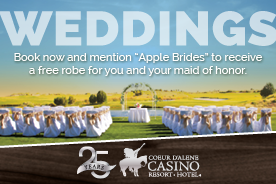 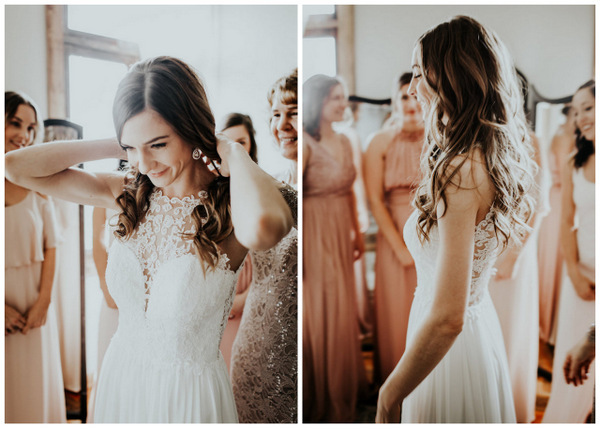 It's classic, flattering, and trendy all at the same time... and totally perfect for weddings! 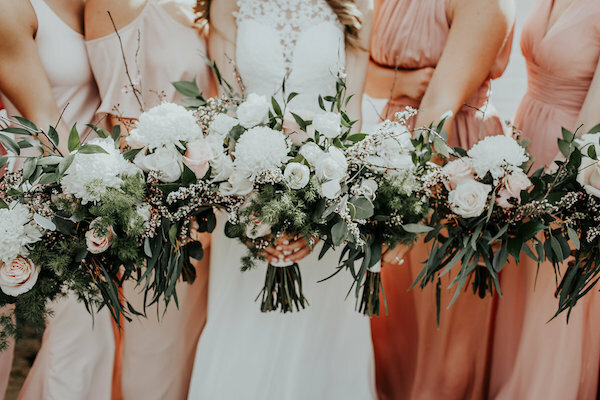 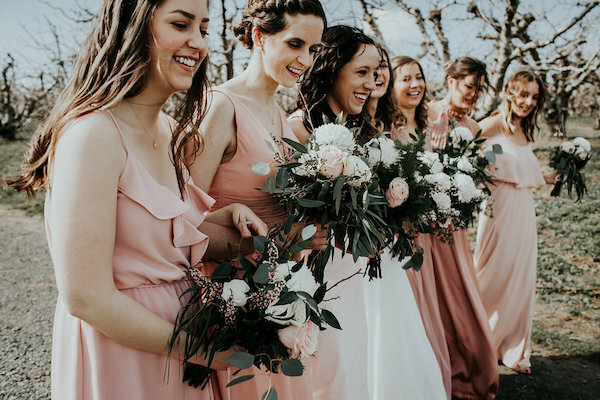 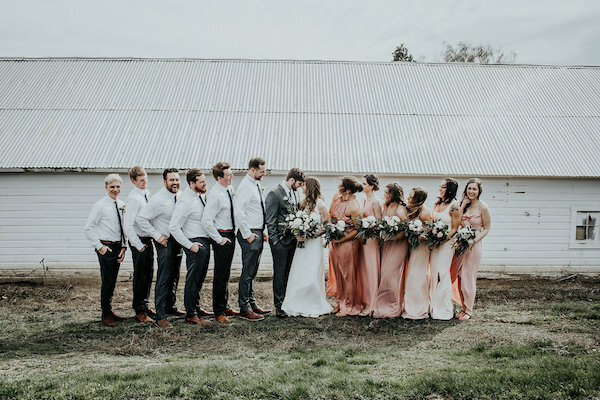 This couple elegantly accented blushing bridesmaids with fluffy white bouquets and a crisp and clean groomsmen lineup. 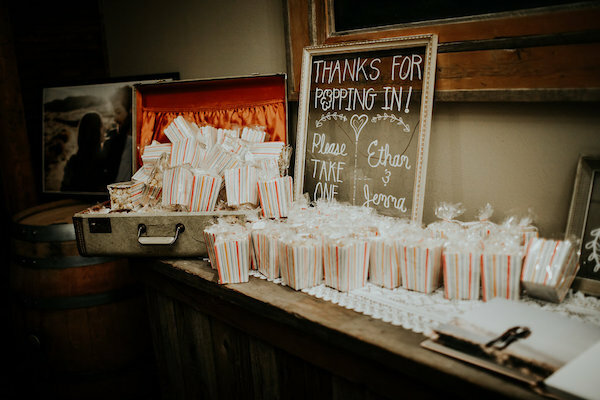 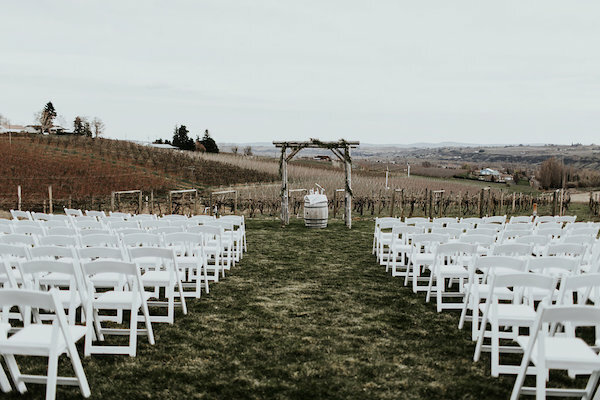 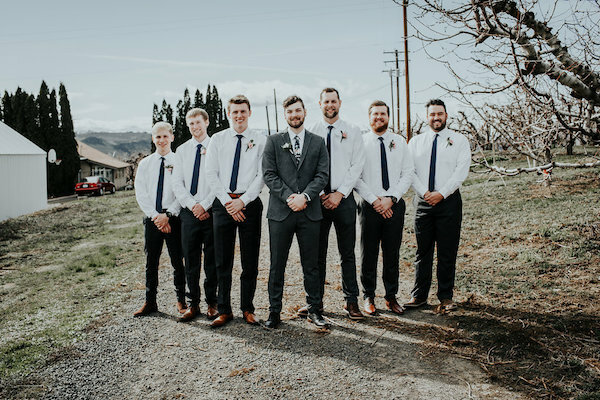 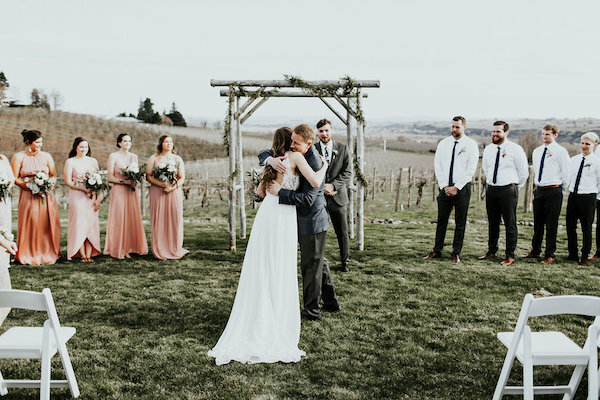 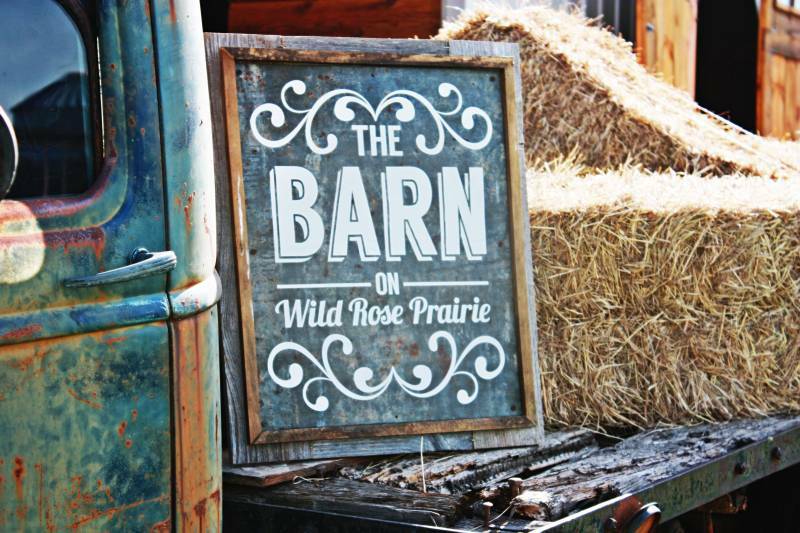 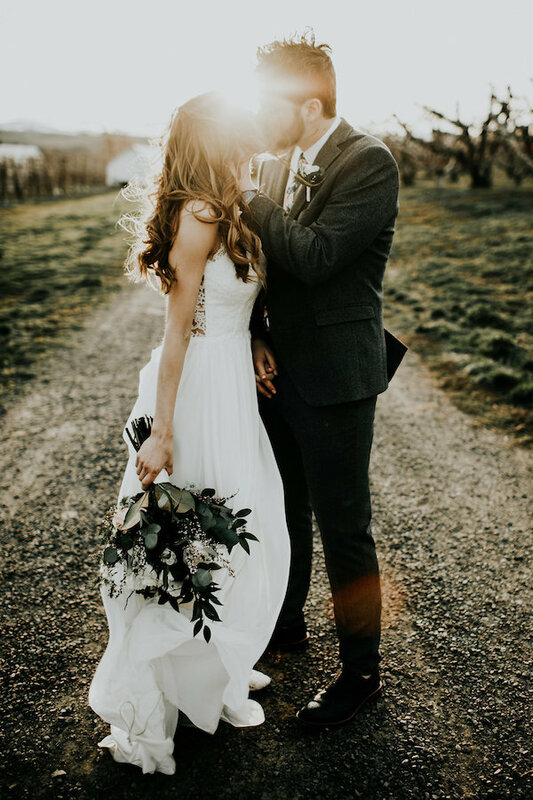 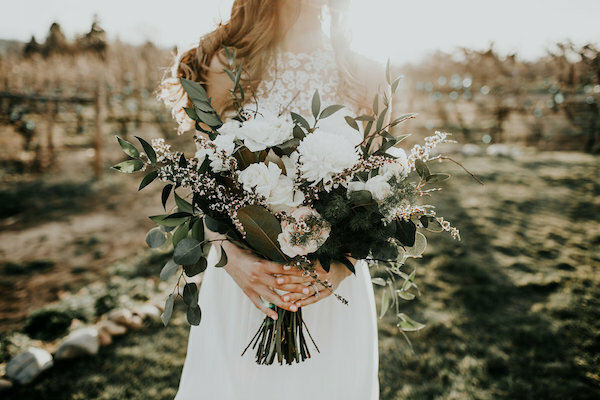 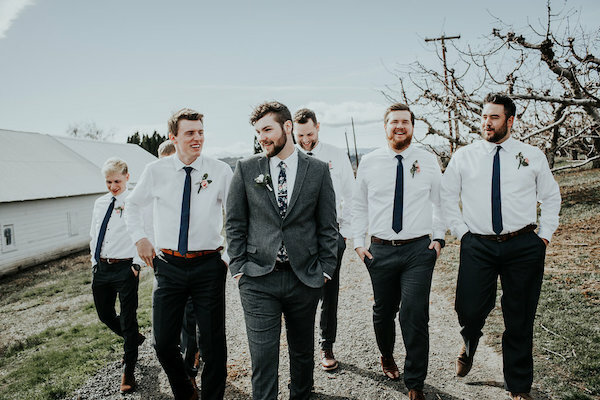 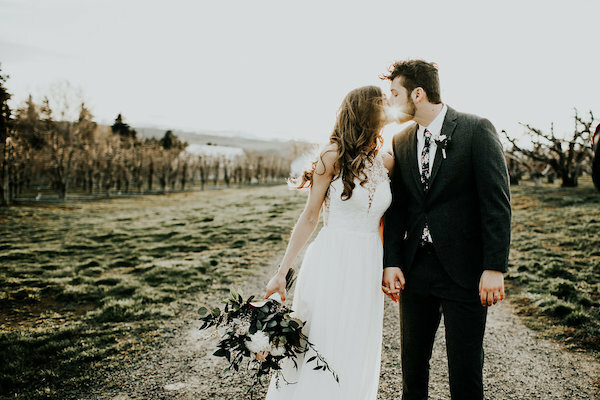 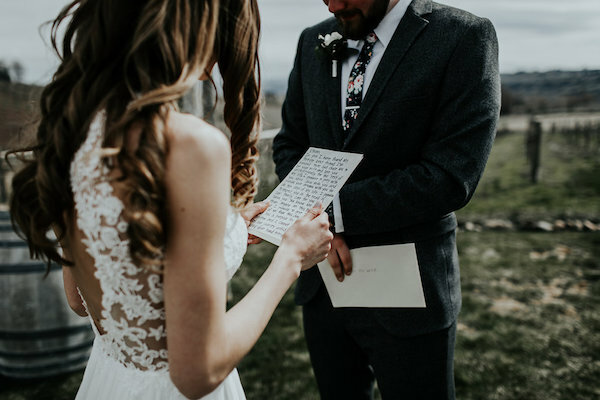 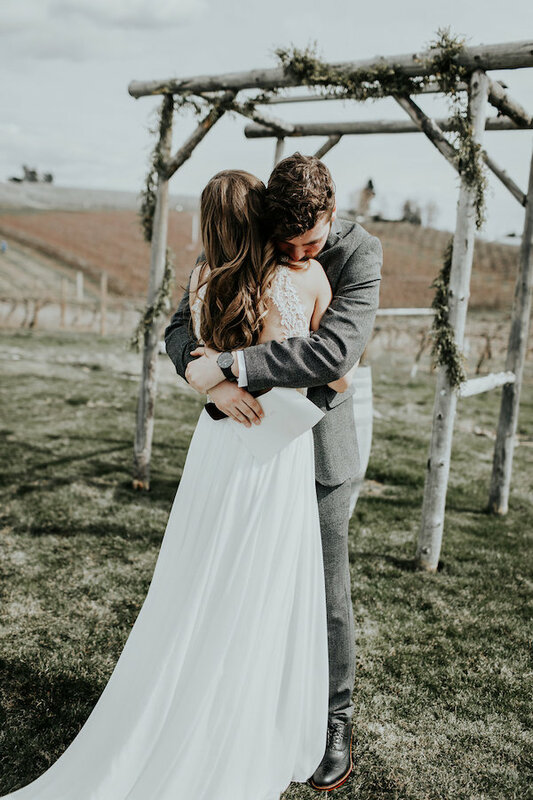 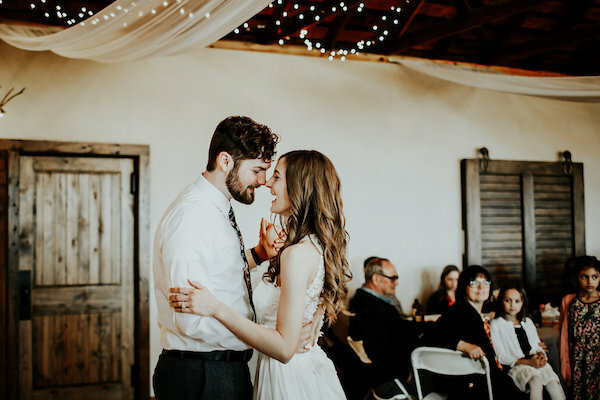 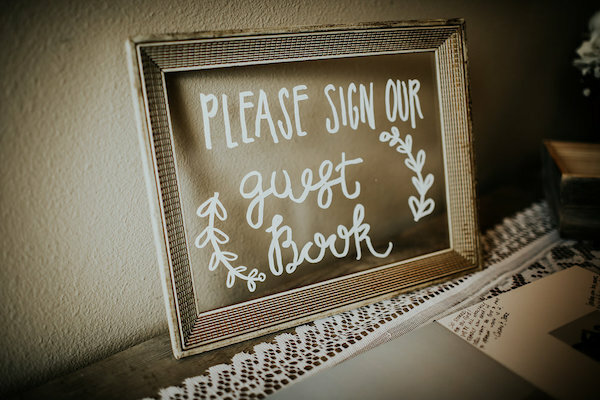 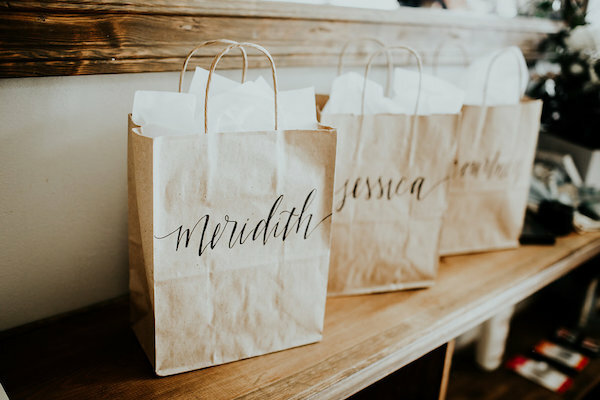 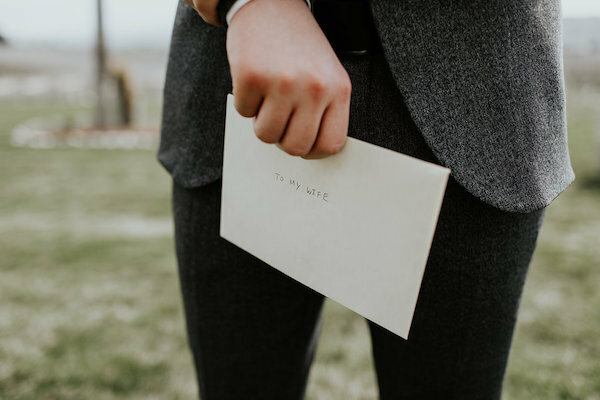 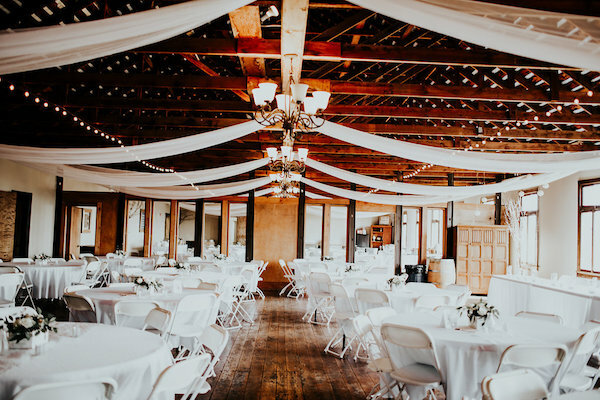 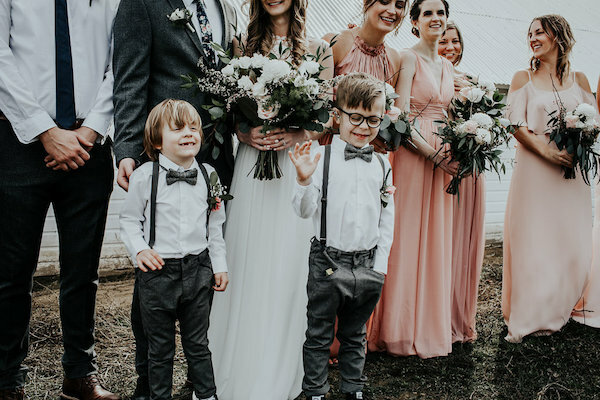 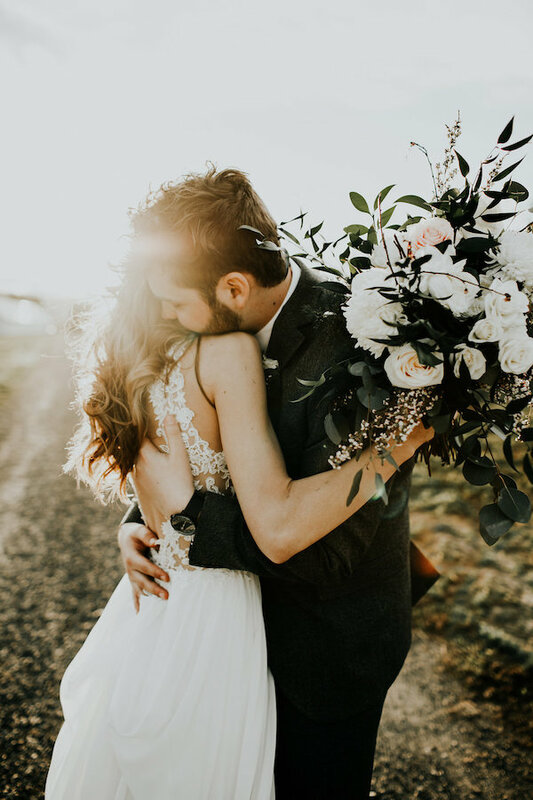 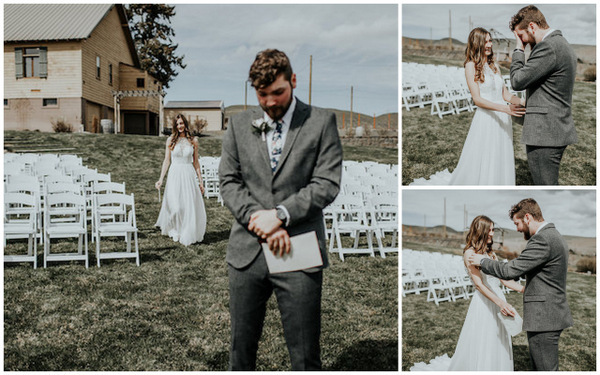 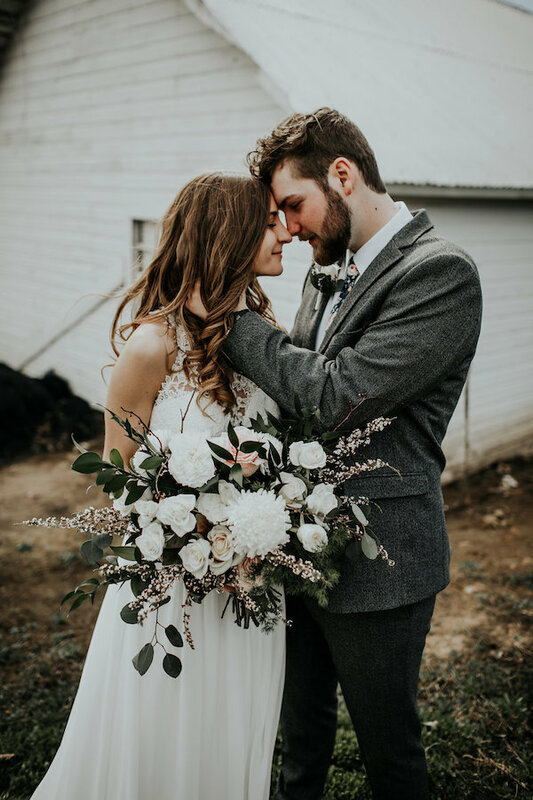 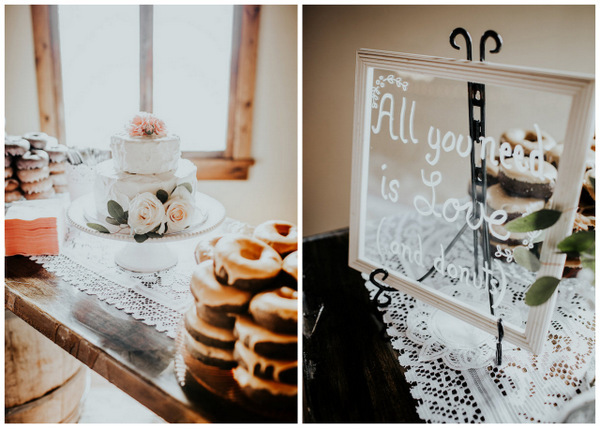 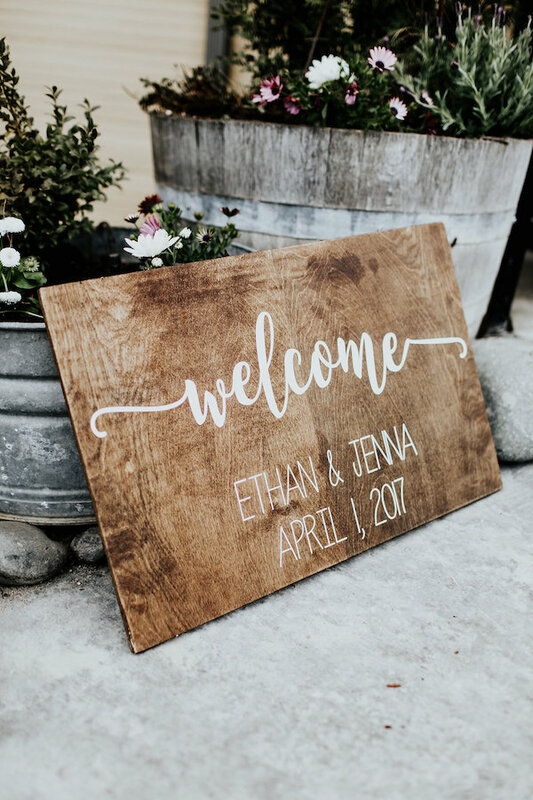 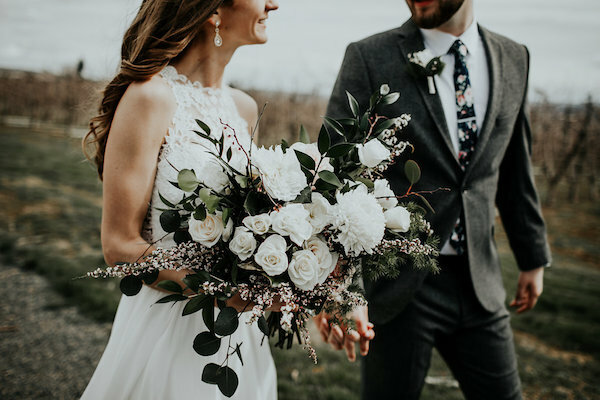 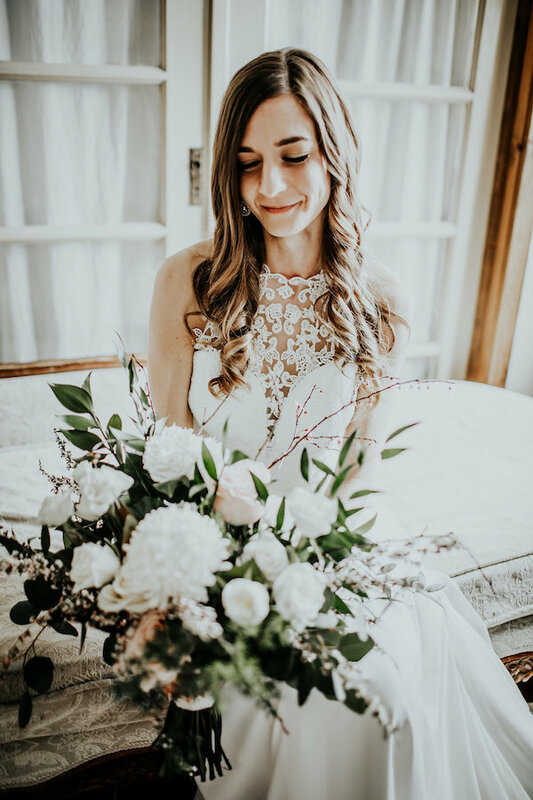 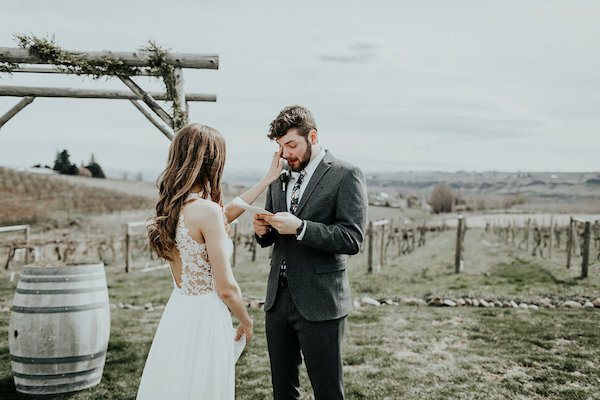 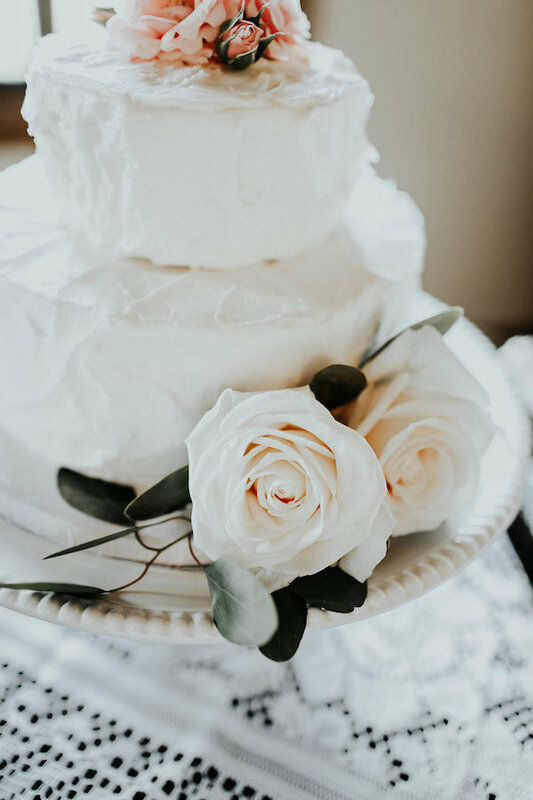 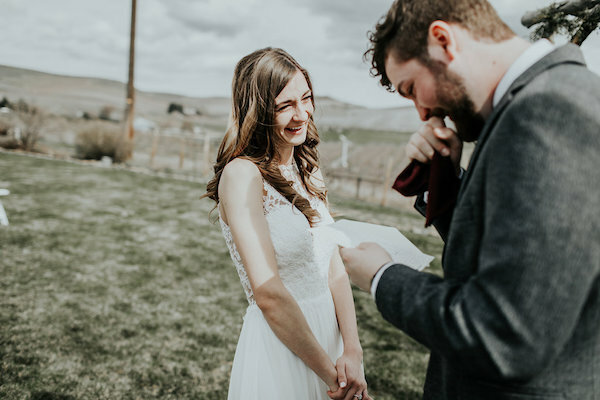 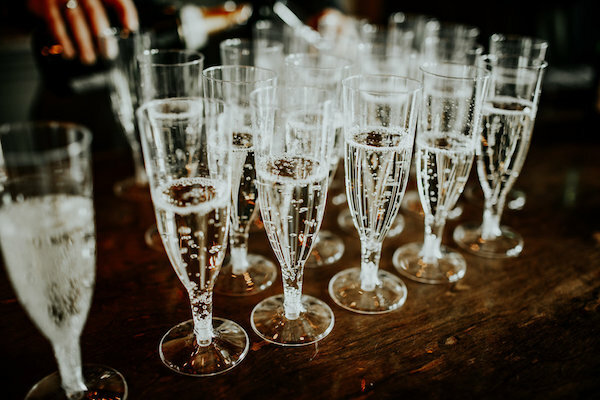 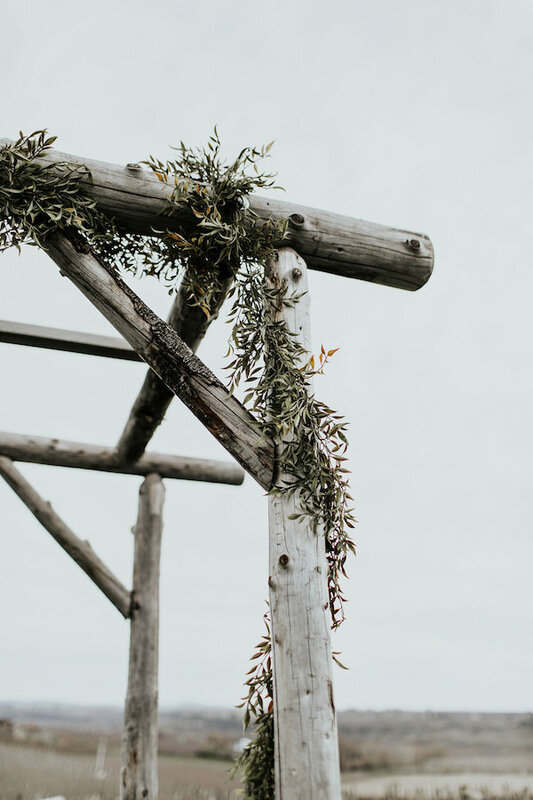 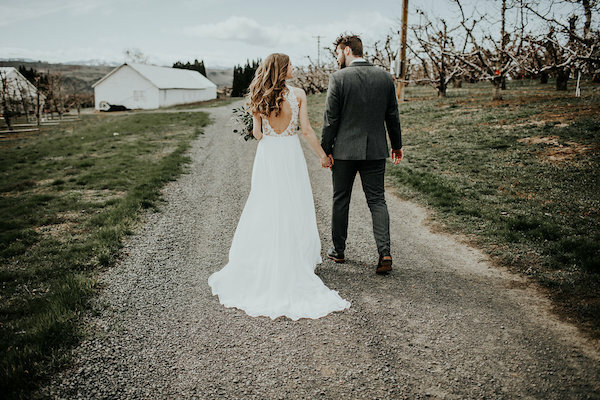 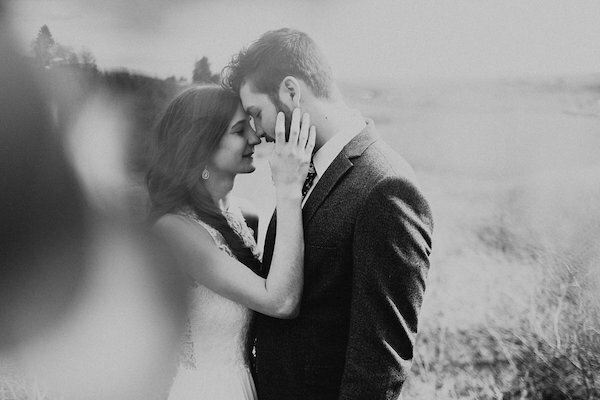 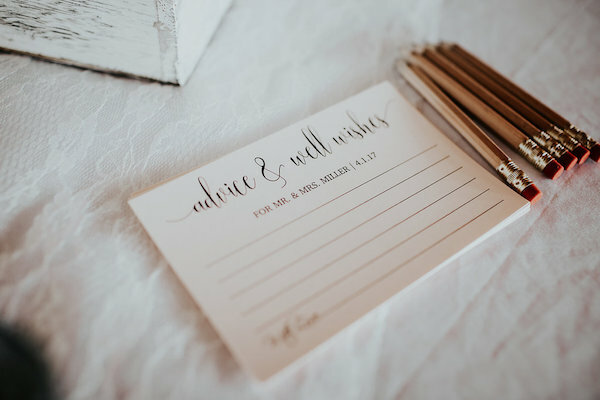 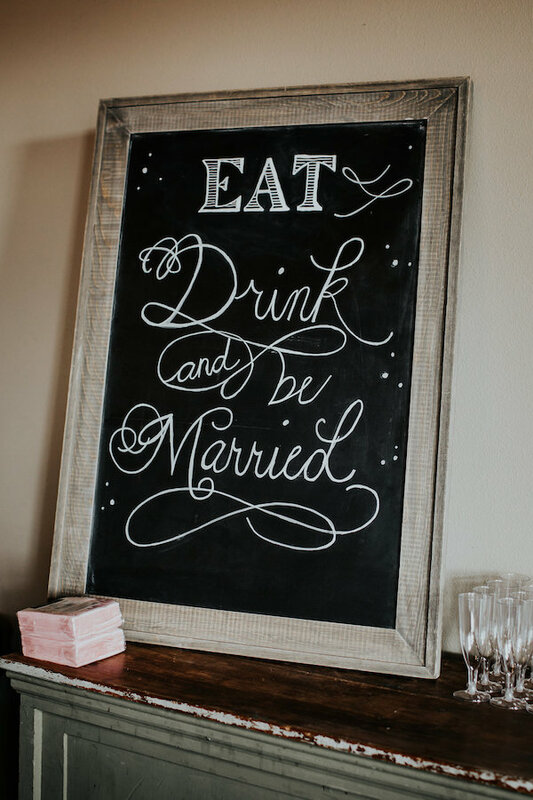 Complete with a rustic venue in the midst of the fields of Central Washington, we are pretty sure this is the best way to throw a "modern rustic" soiree! 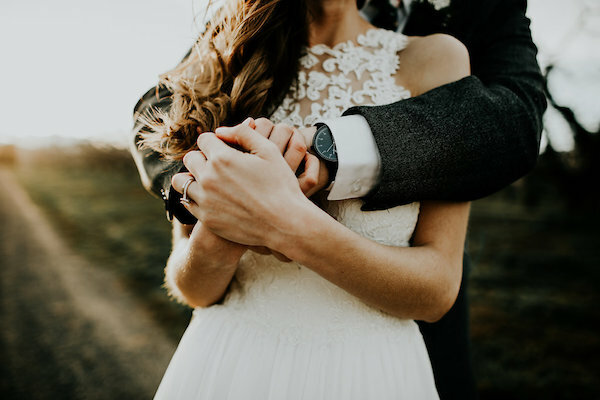 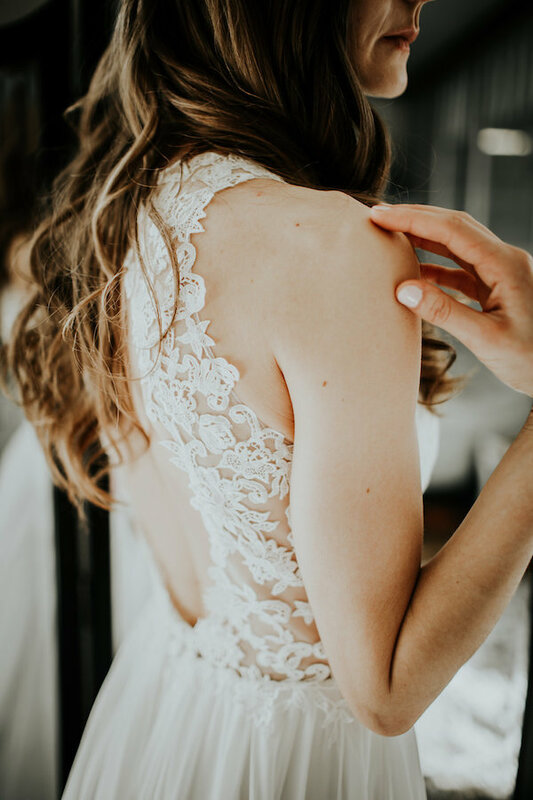 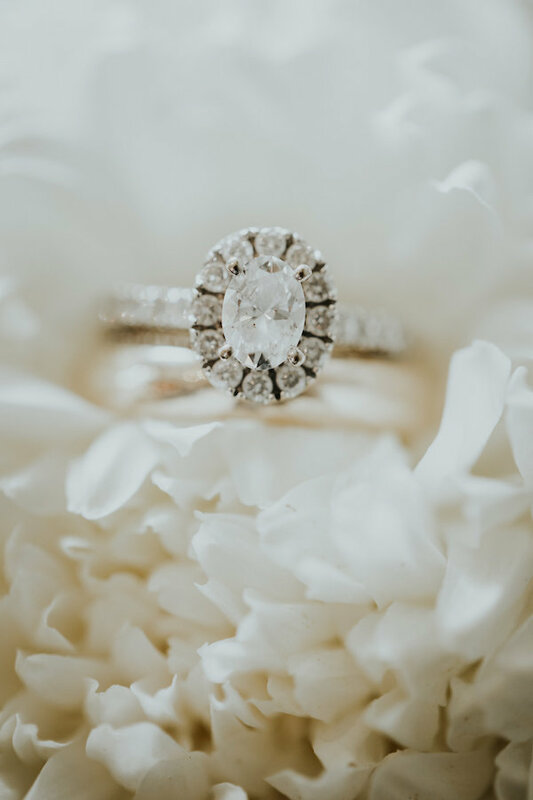 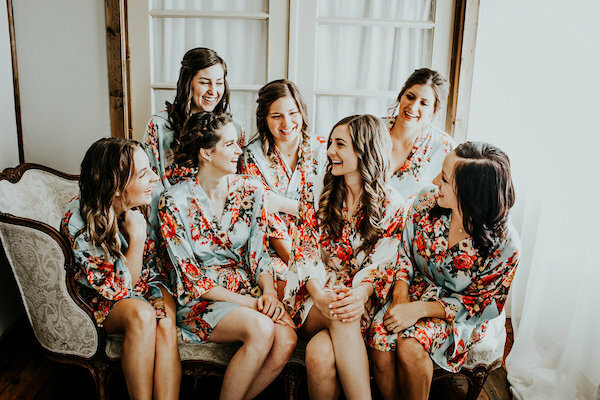 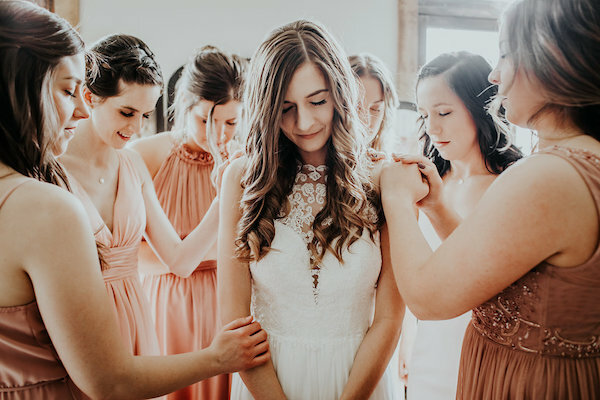 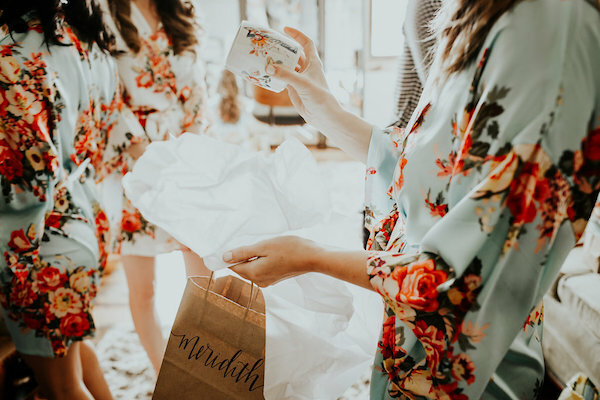 From the photographer... "One of my favorite moments during their ceremony is when their entire bridal party placed their hands on them to pray for their marriage. 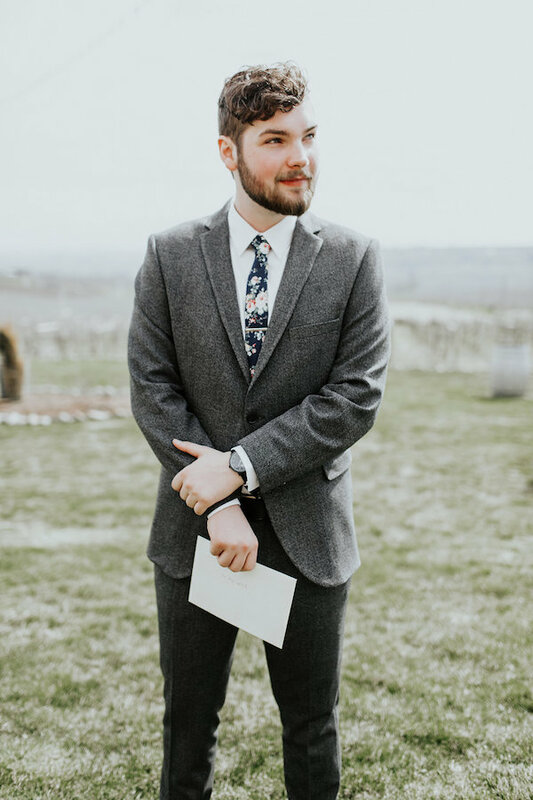 It was a moment of silence, of prayer, and of well wishes, where you could feel everyone in attendance offering the same sentiment. 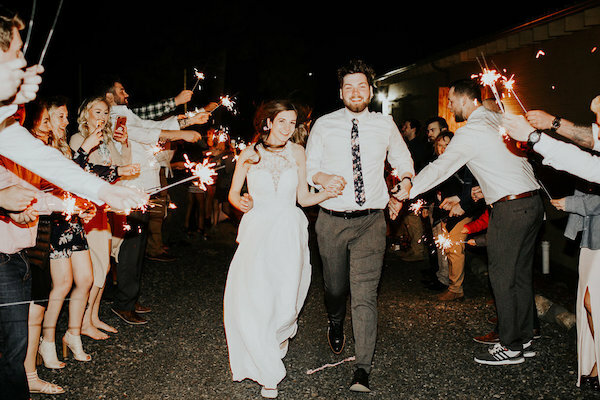 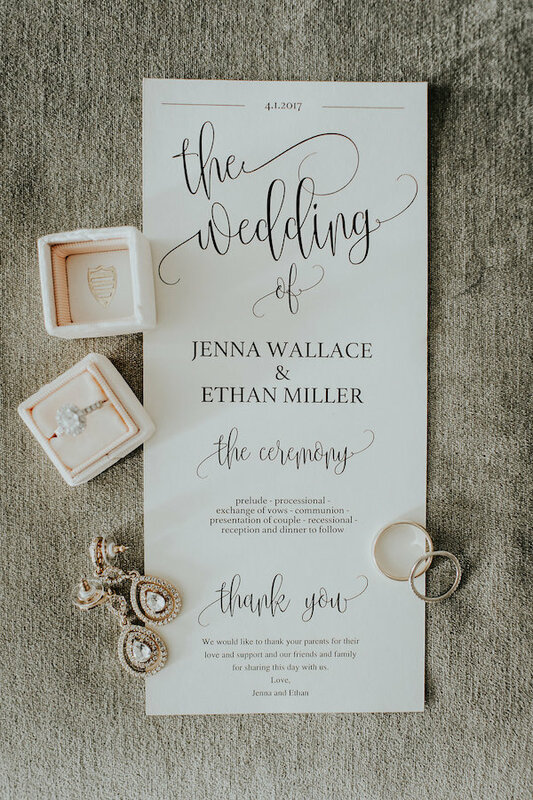 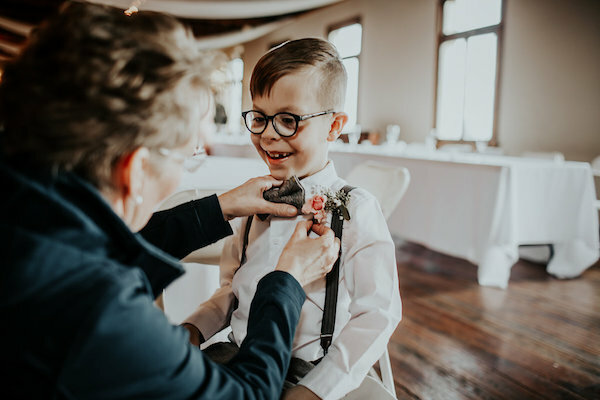 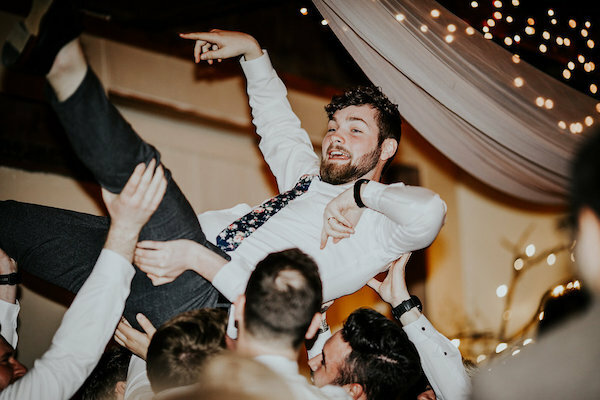 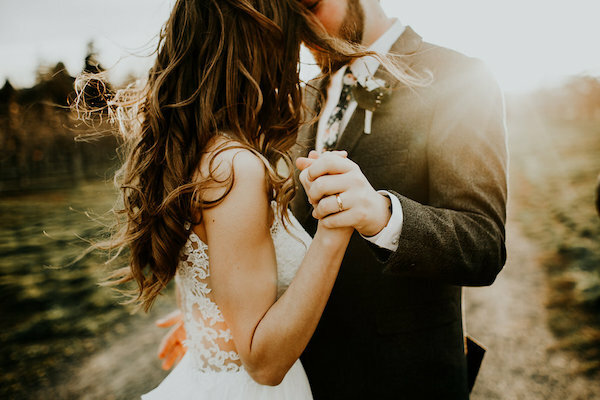 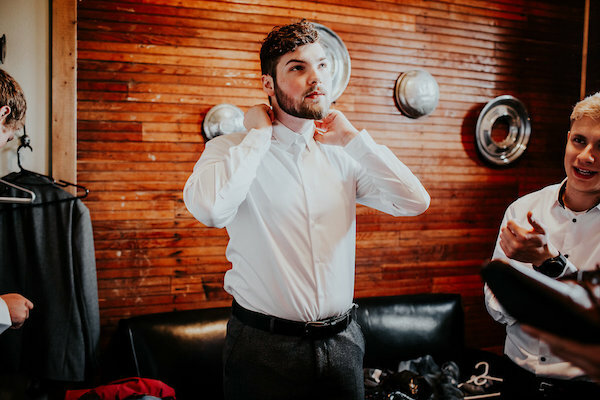 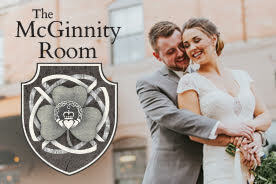 As day rolled into the night and the most AMAZING (literally, I’ve been to a lot of weddings) dance party took place – you could see the joy in both their eyes as they shared this special time with those closest to them."